All compound archers will shoot the 50m round, all other bow types will shoot the 70m round. Assembly: 9:00am, followed by up to 45 minutes practice and equipment inspection. Following practice the WA 70/50m round will be shot in a double detail with 6 arrows shot in 4 minutes. There will be a 15 minute comfort break at 3 dozen. On completion of the ranking round there will be a break while the seedings are completed for the Head to Head competition. Official practice for the afternoon will be taken during this time. All archers will go through to the Head to Head, and higher placed Archers may receive a bye in the earlier rounds. Compound matches will be based on 5 ends of 3 arrows with the winner based on cumulative score. Recurve matches will be based on 5 sets of 3 arrows. The winner will be the first to 6 set points. The closing date for entries is 27th May 2019. Entry fees are £15 per day day; £25 for both days. Archery GB or accredited World Archery Association membership cards must be available for inspection. Archery GB dress regulations will apply. Archers should comply with the dress regulations until after the presentations. 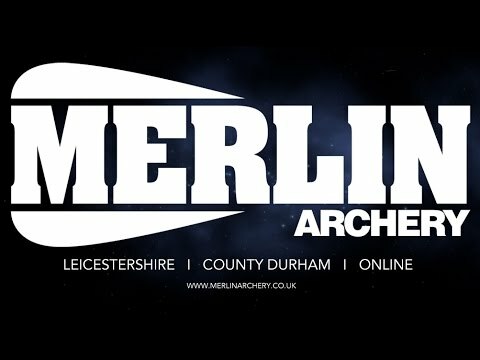 Archers competing at Record Status Tournaments may be liable for drugs testing. Competitors who are approached to give samples must comply. Non-compliance will be treated as a positive result. Parents/guardians must sign the relevant box on the entry forms giving consent for junior archers (under 18s) to be drug tested if approached. Lost arrows must be reported to a judge or member of the field party (please remember to inform them if you later find the arrow). It is the archer’s responsibility to account for all arrows before leaving the field. Archers who are unable to get to the target should arrange for an assistant to aid in scoring and arrow collection. In line with the Archery GB Safeguarding Policy, those who wish to take photographs or video at this event must register with the Tournament Secretary on arrival. Unauthorised photography is not permitted. Benfield Centre for Sporting Excellence is a no-smoking site. Pets are not permitted at Benfield Centre for Sporting Excellence (Guide Dogs excepted). Car parks are available at the front and side of the site, but parking directly next to the archery field will be limited. In the event of protracted poor weather, to confirm that the ground is suitable for the event, please contact the Tournament Secretary. When you enter this competition the following information may be collected and shared with tournament organisers, scoring systems and other competitors for example when target lists and results are published: First Name, Surname, Gender, Bow style, Date of Birth / Age category, Email, Address, Phone number, Club, County, Region, Round (unless defined by age), Disabled (Y/N), Disability info. This is an event for senior archer and Archery GB membership cards must be produced upon request. It would help the tournament team if you brought your ticket to the event. You can contact The Bowmen of Walker via email at info@bowmenofwalker.club or through our facebook page. No, if you are unable to attend, please apply for a refund through Eventbrite so your place can be re-allocated to another archer. Please note that refunds will not be considered after the closing date.